In a year marked by democratic setbacks, Myanmar emerged as an unlikely success story. 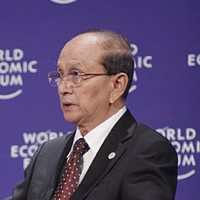 After nearly half a century of military rule, rights to unionize and protest were restored; opposition leader Aung San Suu Kyi was released from house arrest; and censorship was eased. Remarkably, these reforms happened because of, rather than despite, longtime dictator Gen. Than Shwe, in particular his decision to hand power willingly over to President Thein Sein.